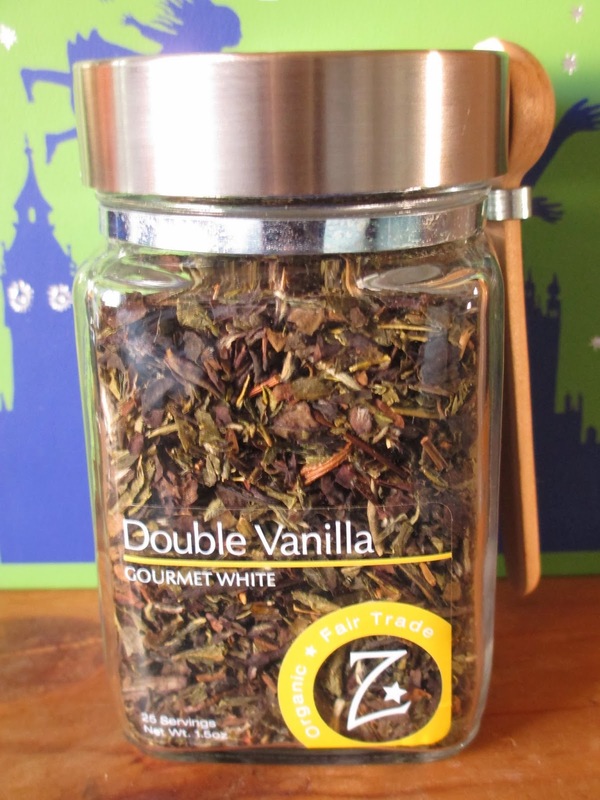 1) Zhena's Double Vanilla tea - I've been ogling this new set of teas at World Market for their simple glass containers and for the fact that they're loose. I've had Zhena's (non-loose) teas before, and they're nice. So I finally picked up one of them, a mix of green and white tea. Since I've been enjoying vanilla in black tea, I thought it might also be nice in this lighter version. It's very nice. And the container comes with a cute, wooden serving spoon. I plan to keep the container for bulk, loose teas later on. 2) Tarte's Beauty & the Box (Secret Garden) - I have this palette in Brewed Awakening already; that's a nice set for browns. Secret Garden is in the greens. The outer color is pale cream, then there is a glowing golden color for the crease. I usually apply the green to my whole lid; it is on the light side of green, but more mossy than lime in its base. It's almost exactly what I've been wanting. The last color is a dark green that has more gray and brown in it, like dry moss. It adds some depth for the edge of the lid. Of course, you can play with how you apply the colors for different looks. Another really nice palette. 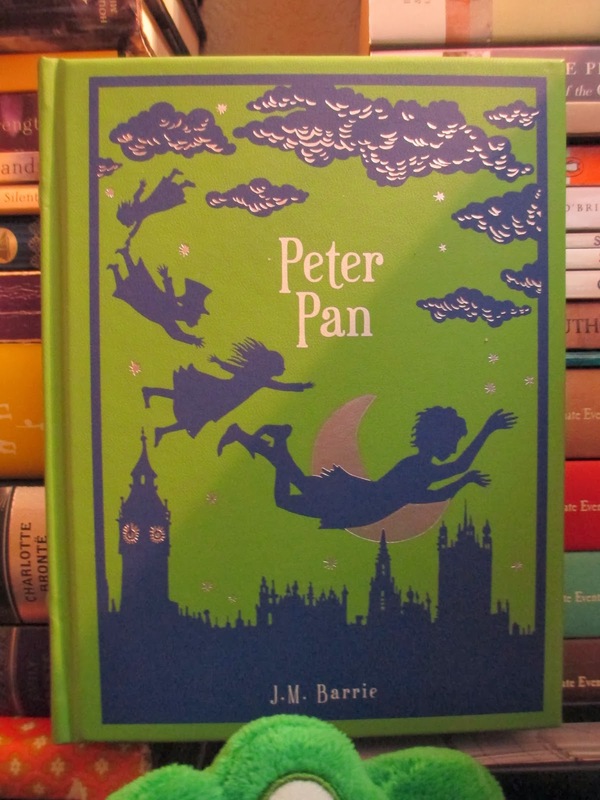 3) Leatherbound Peter Pan - A while back, I wanted the copy of Peter Pan that Anthropologie had. Since I didn't get it, I picked up this one from the Barnes & Noble series instead. It's a gift for my Disney crocodile. 4) Ranch Organics Rose Geranium Soap - I like a pretty soap and I like roses and I like Anthropologie, and they all come together in this little soap. 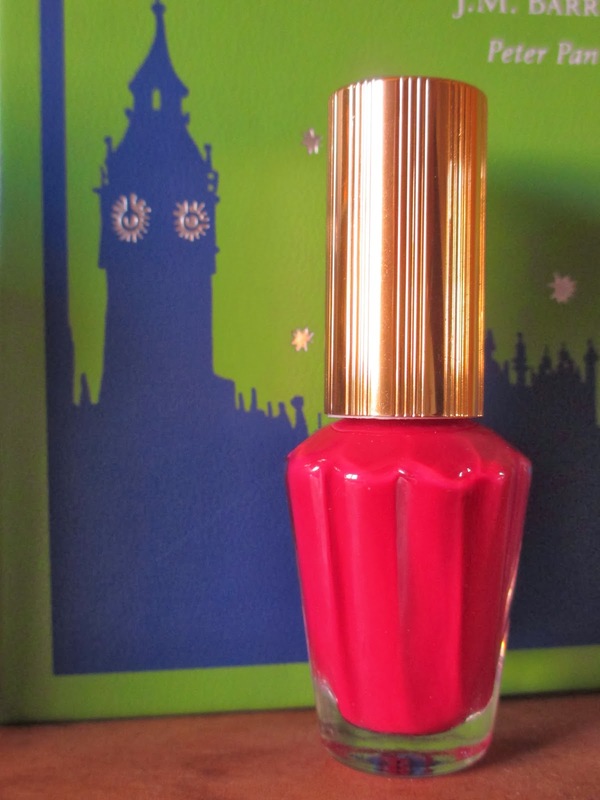 5) Albeit Nail Varnish (Grenadine) - Just a little nail polish I picked up in the Anthropologie sales tables, this color is a cross between red and something more pink or purple. It's the shapely bottle that I find prettiest. 6) Giant Smarties - Getting some regular Smarties a couple months ago reminded me how much I like the chalky candy, so I picked up two of the giant rolls at the mall's candy store. I keep them in one of my jewelry boxes for handy munching. This should be about a two month supply. 7) Green Headband - This was more of a Christmas item. Green velvet and a strip of sparkle make this headband a festive addition to different hairstyles. 8) Silver-Plated Box - A very inexpensive find, it turns out that this box is quite old. I did a little research on it to learn more, but I just like it for its simple elegance. 9) Leaf Barrette - Sometimes I like to put the top half of my hair in a barrette, and I decided it was time to replace my plastic one for something prettier and more grown-up. And it's a leaf that has pearly green accents, so there. 11) Tarte's Amazonian Clay Full Coverage Airbrush Foundation (light-medium neutral) - After using the same container of Merle Norman foundation for years, I have for once acquired a new one. I'm not sure if I like it more than Merle Norman. But it's nice. It isn't shiny like foundations from some of the natural brands (Benefit, I think). Neither is it super-matte. Basically it just has a smooth, natural look that's almost like not wearing any foundation--which is what I like. If I can see foundation, I don't like it. It was sometime before Christmas that I was at Barnes & Noble and saw a book in the Bargain Books section that I wanted. It was a big book and I still wanted to look around some more, so I was going to pick it up later on before I paid. But I forgot about it. I was, then, delighted to find the same book at a different location a couple weeks ago; I snapped the book up, barely even looking at it. Then when I sat down to read it, I wondered, is this really the same book I saw the first time? This one is The "I Love Lucy" Scrapbook: The Official Scrapbook of America's Favorite TV Show by Elisabeth Edwards. In her opening, she explains the difference between this book and another, Lucy & Desi: A Real Life Scrapbook of America's Favorite TV Couple. I think perhaps that that was the book I saw the first time--which means that I am, once again, dissatisfied. 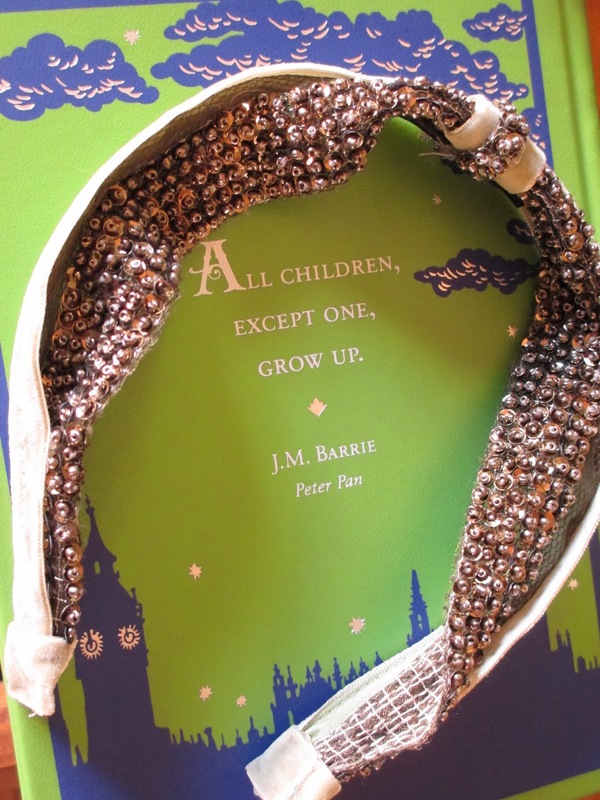 Whether or not that was the book I saw before, I want it. Oh, greedy me. The book that I do have, however, was still worth my time. With a list price of $35, I got it for $10. It's from 2006, so it isn't a brand new book, but it's still modern. Based around the idea of the scrapbooks that Lucille Ball and Desi Arnaz both kept, this book is designed to look like a scrapbook. The hardcover comes in a separate, hardcover sleeve and is fairly big in size, though only 69 pages thick. Chronologically, it moves from the pilot episode of I Love Lucy through to the end of the show, including the comedy hour episodes. Each season appears with a different color background to make flipping through easy. Most of the pages have the titles of three or four episodes, with a textual focus on one or two. The text is written from either Lucy's or Desi's perspective (the book doesn't say whether or not these are excerpts that they actually wrote, so I suppose it's fictional text based around factual information). They describe what it was like to be on set, how they rehearsed, what actors or crew members they were working with, and what their plans were for future episodes. There is a bit of plot summary, which isn't exactly necessary since I've seen every episode many times. The imagery is varied. There are stills from the show, just a couple of behind the scenes pictures, a couple of script pages, and other random images based around props and plot. Pieces of costumes, Lucy's Schedule, the invitation from the Society Matron's League, things like that. It's all sort of fun and tactile. Then there are the historical bits. The cover of the Life magazine that Lucy and Desi and their children were on, newspaper and review articles with reactions to the show. These were some of my favorite things to look at. And as someone who has been watching I Love Lucy forever but hasn't really looked into much of the history around the show (maybe it's because we all know the sad ending for "America's favorite TV couple" and we hate to think of that happening to Lucy whom we loved), this book did offer me a small measure of info. There is the general information about the show, as well as various little factoids like how much Orson Welles got paid for his episode. A smattering of info with a fun format. You know how it is, I'll take any excuse to go to Anthropologie. They had one of their Pop-up Markets at the Scottsdale location yesterday, and so I naturally found myself there feeling very much at home, as usual. The format was similar to a regular Farmer's Market, with little booths from local companies who were giving out samples and selling their products. There were about ten or so booths, all around the inner part of the store (that is, near the inside door). The difference was that these were mostly the fun companies. We wouldn't get as excited to go to the mall to buy potatoes, cabbage, and bread. Instead, there were cookies, caramels, jellies, toffees, truffles, and peanut butter. It is on the peanut butter that I shall now focus. Even Peter Pan likes it. I'm a strange person, as you know. One of the reasons I am strange is that I'm used to the stiffer, more dense Trader Joe's peanut butter. I won't even go near Skippy. If a peanut butter is too creamy-oily, I probably won't like it much. I know, how inhuman of me. So when I had a sample of Peanut Butter Americano's Cinnamon Honey variety, I thought that it was nice but that I probably wouldn't want a jar of it. And then I saw the Dark Chocolate variety and said, oh, well, yeah, I guess I'll have to try that. So here it is, this $5, 8 oz. jar. Even if I don't eat peanut butter out of the jar (I never understood the ice cream or cookie dough obsessions, either), peanut butter is one of those incandescent flavors that can meld so well with chocolate (coffee and hazelnut also go rather well). The PB Americano website just says that they use chocolate chips for their chocolate varieties; I should have asked, at the booth, what brand they use. I kind of think I heard it was 60% cocoa, but I could be making things up. In any case, I noticed from the packaging that the chocolate was made with milk fat, vanillin, and artificial flavor. Really? You see, from what I've seen and read, this seems like a really cool company. They care about details, the ingredients, the look, the social and ethical side, the nutrition side, everything. So I'm kind of wondering if they can find a better chocolate source (all this said without even knowing what the chocolate company is). As you can see, there are tiny peanut pieces interspersed in a chocolate-filled base that is not at all thick. 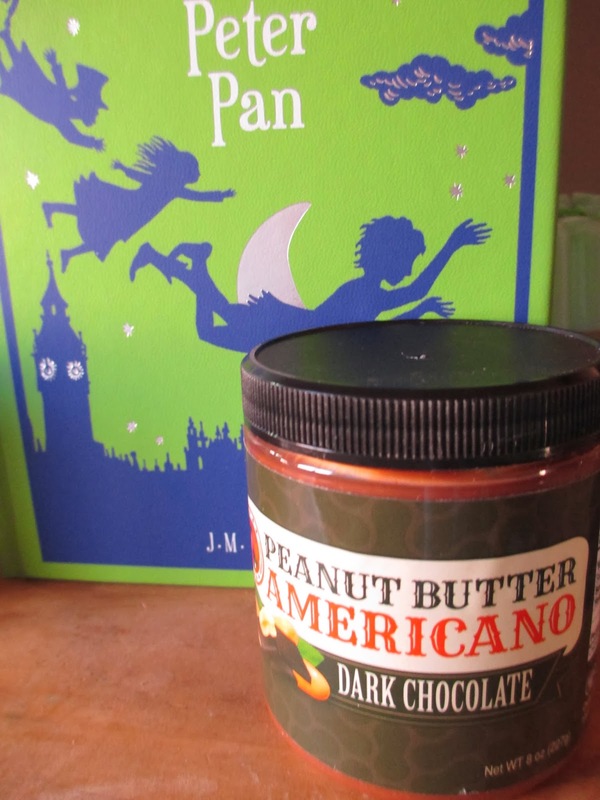 Interestingly, PB Americano recommends not putting their peanut butter in the refrigerator; I wonder how many people do find themselves accidentally polishing off a whole jar. Especially because there are peanut pieces, the prominent flavor is still peanuts, not chocolate. But the longer you allow the peanut butter to sit in your mouth, the more chocolate you will taste. (I don't mean to leave it sitting for an hour; I just mean more of a licking than a chewing experience.) Of course, I can't give you any detailed chocolate commentary from this context. I'll just say that there is enough chocolate presence to merit the Dark Chocolate label. I just had a thought. A wicked, wicked thought. Imagine breakfast. Picture a cup of chocolate tea from the Republic of Tea or someone. Then picture two pieces of toast, one spread with CC Pollen Co.'s Chocolate Honey and one with this Dark Chocolate peanut butter. Oh, that must be sin. Creamy and chewy at once, chocolate plus peanuts. Oh, my. And I have (mostly) saved the last tidbit: Peanut Butter Americano works with other companies/organizations that help to benefit the Americas. For instance, 100% of the proceeds from the Dark Chocolate variety go to Techo. Building homes, providing jobs, reducing poverty. I think this company will go a long ways. After Earth or After Resolution? Sometimes it's nice when fiction is simple. I mean, it's nice when a story decides what it wants to be or to do and then goes along with it. Sometimes I think stories get bogged down by details that don't necessarily help it along to one point. I always like to use the example of Pip going to the theatre in Great Expectations; it has little bearing on the story, but Dickens describes the scenes in such long, drawn-out detail. The same goes on in plenty of movies today, where we have action sequences just for the sake of action sequences and other similar things. So that's why I found After Earth a bit refreshing. When the trailers were playing for this movie, I thought it seemed okay, the type of movie I'd watch if I got the chance but probably wouldn't make a priority. Then the bad reviews started coming in and the whole box office flop thing. I mostly forgot about the movie until I had the opportunity to watch it a couple days ago. It seemed worth it just to see Will Smith and Jaden Smith working together again. During the beginning of the movie, I was thinking that it wasn't particularly unique. Of course, no fiction is wholly unique. But I was thinking that we had seen the ruining of Earth before, the colonization of other planets, the war with an alien race, a father and son story, all of that. But then once the story brought us to the planet, something seemed to change. The story wasn't about the ruining of Earth or space travel or war with aliens anymore. It was about a father teaching his son something he had learned about life. You see, watching this movie was rather like reading a book. What the camera chooses to show you matters. The camera dictates what you are to think and what you are to feel. There was some criticism for the acting in this movie, right? But while we may not have seen Will Smith's character weeping out in worry about his son's safety, we did see little things. When he looks at the pain killer box that warns about causing sleepiness, we know he's weighing options: his own physical pain versus his desire to stay awake to watch his son in case of any danger. The camera gave us that emotion in a simple and direct way that didn't need theatrical acting. And then there is this "point to the story" that I mentioned. Plot-wise, it is the ability to eliminate fear--I would probably reword that, for our world, as the ability to control fear. All throughout, the enemy is vague except that in that it smells fear and violently kills. This vagueness means that the point is not war with an outside enemy; it is war with something within. Once Jaden's character reaches a point of resolution where he understands that if he dies, he just dies, then he can understand what it is to not be afraid. And once he has had this way of looking into the face of life and death and reigning in his fear, he no longer wants to face and defeat that fear. Here is where I think the movie differed from others. A standard action movie would have had Kitai become a great warrior and possibly win the war to save all of humanity. But the story isn't about war. Kitai didn't need to learn to fight or to kill. He needed to learn a personal growth lesson. So once he had learned that lesson, he was free. It was before he learned that he wanted to join the Rangers and try to make up for the horrible memory in his past; now he can move on. Seeing what life and death (or past, present, and future) mean for himself, he can move on. It still isn't my favorite movie in the world, but it made me think. And everything about it was designed to one end, not simply to create a spectacle of action and battles. So I found it an interesting movie. As exciting as the release of Weta's Chronicles series for The Hobbit has been, it has taken me this long to finally read the first book, page per page. I flipped through it before, but it seemed such a dense book that I couldn't get to it when I was still in school and even took a few extra months after graduating. Now, at last, I have moved through the first of the three books; I think perhaps I will take a break before moving on to the second. Everyone already knows this, but what a treat, what an amazing feat are these books. Just as the special features on the extended editions for The Lord of the Rings were a remarkable compilation of content, perhaps never to be surpassed, so are the Chronicles books. They just don't make special features as extensive as those, and they just don't make movie books as extensive as these. I like movie companions, but they're sparse on details. These books are not. The Hobbit: An Unexpected Journey, Chronicles: Art and Design already has the added benefit of being composed by the same people who did the work being discussed in the book. Daniel Falconer of Weta Workshop wrote the book, so all the short settings that start each chapter are written by him. These describe the content, whether it is about the dwarves or Gollum or Rivendell. But instead of just describing the places or characters, this text explains what is significant about it within the context of the film--and consequently what was important for the craftspeople and designers and everyone to convey through their work. The body of each chapter, then, consists of imagery and quotes. Concept art, prop images, makeup tests, everything like that. With each image or small group of images, there is at least one quote from someone in the crew describing the work. The quotes are usually about a paragraph or so, which means that you're never bombarded with information: you can take the time to savor each page, take in what they have said and admire their work. What's intriguing is that not all the images are of what made it into the movie. Sometimes there are things that were designed but were simply never seen or used by the characters. Sometimes there are early design ideas that contributed to the look that was eventually decided on. It's amazing to see all the work that was done and the thought that went into each decision. So many talented people worked on this movie that learning about the work they did is an adventure of itself. This book is amazing. I have an okay relationship with Ghirardelli. Their chocolate is widely available and usually simple enough that it doesn't fail miserably. It isn't the best of the best, but a square of Twilight Delight or Midnight Reverie can be a welcome addition to the day. So I'm generally favorable to Ghirardelli, within certain bounds of expectations. And then along came the new Cabernet Matinee bar. It looks interesting, right? Berries and grapes hint at a grown-up, wine-inspired flavor profile. The shade of purple on the card box does look a little dated for a new design, but I ignored that fact when I purchased the bar. It's Ghirardelli, I thought, the details don't matter so much if the chocolate is pleasant to eat. The thing is, once you tear open the foil wrapper, the Cabernet Matinee has a very strong aroma. It's sort of berry-like, but mostly reminds me of artificial grape. I left the open bar on a table in my room, then came back in later on and wondered what cheap, raspberry perfume I'd sprayed; it was just the chocolate, not any perfume. First bite, I thought essentially the same thing: gross. The flavor is very strong, more or less overpowering the chocolate. It tastes somewhat of berries and somewhat of grapes, but mostly of chalky, cheap, artificial fruit essence. Grape is, like watermelon, a delicate flavor to try and reproduce; it usually can't be done right. So I think that Ghirardelli would have been better off ditching the wine theme and just making this a berry bar. Maybe they could have blended blackberry with huckleberry? It would have been nice to have a straight berry bar that did not also have pieces of berries, as is more common. The ingredients just list "natural flavor," so perhaps this isn't artificial flavor I'm tasting. But whatever it is, it shouldn't taste artificial. True, once you get used to it, this chocolate starts to taste better. Halfway through one square, I'm starting to think it's okay. But I'm also reluctant to eat any more. Despite this bar being part of the Intense Dark line (with no mention of cocoa percentage), it feels sweet instead of rich. I thought this was going to be a sophisticated bar. Did I set my expectations too high for Ghirardelli to follow? 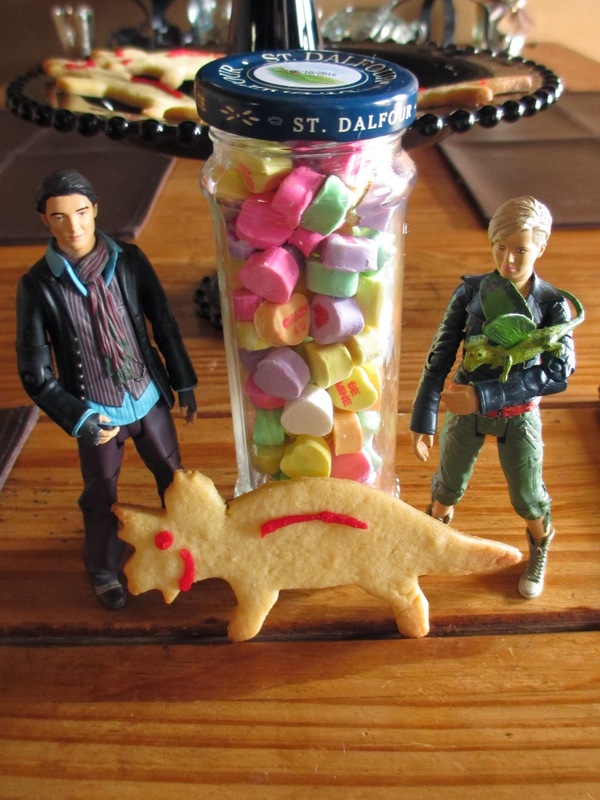 Primeval's Connor and Abby wish to offer you a happy Valentine's Day. Connor also gave to Abby a "My Hero" heart, in thanks for the many times she saved his life. I think, however, that Abby had Rex in mind when she picked out this green "My Boy" heart. Ah, yes, it has happened again. The Hillywood Show is planning to parody something that I have not yet seen. The trouble is, I haven't known where to start with Doctor Who. People tell me I can start with the newest series, but I usually like to start at the very beginning and work my way forward when investigating a new franchise/show. I think, though, that maybe I will go ahead and start with the new series soon, aye? I must prepare for the parody. But that isn't the only way we must prepare for this parody. As Hillyfans know, The Hillywood Show was receiving funding from producers for a time, but they are, at least for now, no longer receiving those funds. And yet here we, the audience, are, quietly expecting the same level of quality we are accustomed to. The solution? Another GoFundMe, this time for Doctor Who Parody. As they have done before, you can receive rewards for donating certain amounts. But, really, it's all about everyone giving what they can to help continue the show we all love. What, after all, would my YouTube be without The Hillywood Show? As of now, they're about a third of the way toward their goal; will you help them reach it? It's here. It's here. Did someone say it's here? After a long wait, Blondfire's second full-length album finally came out today. That's good: I've listened to My Someday many, many times, along with the EPs Don't Whisper Lies, Holiday EP, the iTunes Live Session, and Where the Kids Are, which featured singles from this long-awaited new album, Young Heart. As I've mentioned, Blondfire has been my indie band of choice for years, perhaps six or so. There are times when I listen to the brother/sister duo's music less, but always I keep returning to them. Through the end of high school and then through the end of college, their music has stayed relevant to me. With the release of each new single from Young Heart, it was strange to hear a new song from the same band I had listened to for so long. But each of these four songs has grown on me--deeply. So with the release of the full album, I found myself in the odd situation of having already connected to a third of the songs but not the rest. The first listen took some getting used to. But by the second listen, I was growing more used to this group. As the title implies, Young Heart is all about living and enjoying life and enjoying dreams. It's unpretentious, simple, fun, atmospheric indie pop music. And it's the atmospheric part that lifts this album out from the crowd for me. This music takes you to a place where you can live, free of worry but somehow not free of responsibility. It doesn't tip over into being reckless or non-caring or candy-coated: it's more about the joy of following through with the decision to follow a certain path. "Young Heart," followed by "Where the Kids Are," sets the tone for the album. "Waves," "Walking with the Giants," and "Hide and Seek" (all of which I adore) hint at a more complex past that hasn't always had pleasant emotional grounds; but they bring the mood to joyful recovery and resolution. "Dear in Your Headlights" is sort of the decision to enjoy life; "Kites" is the day dream. Surprisingly, I'm enjoying "Wild and Wasted." It doesn't have to be a song about getting drunk (like half the things on the radio): it's more about that moment of unrestrained imagination that you can associate with drinking. And it has a catchy tune. "We Are One" is the slowest song on the album, and I didn't find much particularly interesting about "Life of the Party." "Right Goes Wrong" is a little reminiscent of "Hide and Seek." The final song, "The Only Ones," makes me sad. Perhaps I'm just reading in some of my own thoughts to the lyrics, but I'm consequently having trouble with this song. Am I the only one who gets sad by it? It seems odd to have a sad song at the end of an album that's all about enjoying having a young heart. Overall, though, I'm enjoying this album. Like Blondfire's previous music, it's easy to listen to but also offers the opportunity to ponder further and to create deeper meaning for as you listen to the songs over and over. Now why don't you head on over to iTunes and buy Young Heart? It has always seemed to me that the omission of Tom Bombadil from Peter Jackson's movies is one of the least-minded changes. Out of all the characters in The Lord of the Rings, he is the one who, intentionally, fits in least with the rest. He's a great character and his section is in fact very moving in the book--but he's hard to imagine onscreen. Bright blue jacket, yellow boots, and singing half-random songs all the time? Yeah, maybe it's better to leave him out of the movie and leave him to imagination. Going through Weta's books on the adaptations of The Hobbit, I noticed something about the way the teams were describing their treatment of Radagast the Brown. Radagast, as you know, is barely described by Tolkien, but they made him a fully-developed character for the movies. So many of the people who helped design Radagast said they really loved his character, and while some moviegoers liked him, others called him a great mistake. Someone even called him the Jar Jar Binks of this franchise. I don't know. I'm mostly neutral to how they dealt with Radagast, given that Tolkien really didn't describe him much and also given that The Hobbit, stylistically, is a children's story where The Lord of the Rings isn't. But then the similarity between Peter Jackson's Radagast and Tom Bombadil struck me. Radagast has the bird nest in his hat instead of blue boots and he talks to animals instead of wandering the woods singing, but do you see the similarity in eccentricity? Both characters' eccentric traits are, further, connected to their relationship with nature. Both characters exist in nature instead of in society, and that is why they develop habits that outsiders find odd. While the movies for The Lord of the Rings kept out the odd Tom Bombadil, The Hobbit brought in the odd Radagast. And I find that interesting. Alas, I am not expecting to review much in the way of Valentine's Day chocolate this year. World Market had one or two that looked alright, but I didn't buy any. And much as I am enjoying ogling the Valentine's selection online from Valerie Confections, the reality is that I won't be getting any of their delectable creations. So instead I give you a very normal chocolate confection, wrapped up in a red bag. Since the Tahitian Vanilla Caramels from Trader Joe's were nice, I thought that perhaps the Almond Toffee would be worth trying. These toffees, though still rounded, are flatter than the caramels were, presumably because toffee is usually made in flat sheets. The almonds are broken into pieces and dispersed within the toffee; this is definitely preferable to a toffee-dipped almond that is then covered in chocolate. As it is, the crunch is the squeaky crunch of toffee and not so much the harder crunch of almonds. The chocolate coating could possibly be thinner, but that might just be my opinion. Both the chocolate and toffee have equal impact on the flavor, so perhaps only a major toffee person would want the chocolate to have less impact. It's just that, eating these, I'm reminded of how much I enjoy toffee and how little I usually end up eating it. It isn't one of the things I usually think to buy. Maybe that's a good thing, considering how jammed it ends up in your teeth. I still, like with the caramels, wouldn't call these toffees particularly amazing. But they're pleasant. 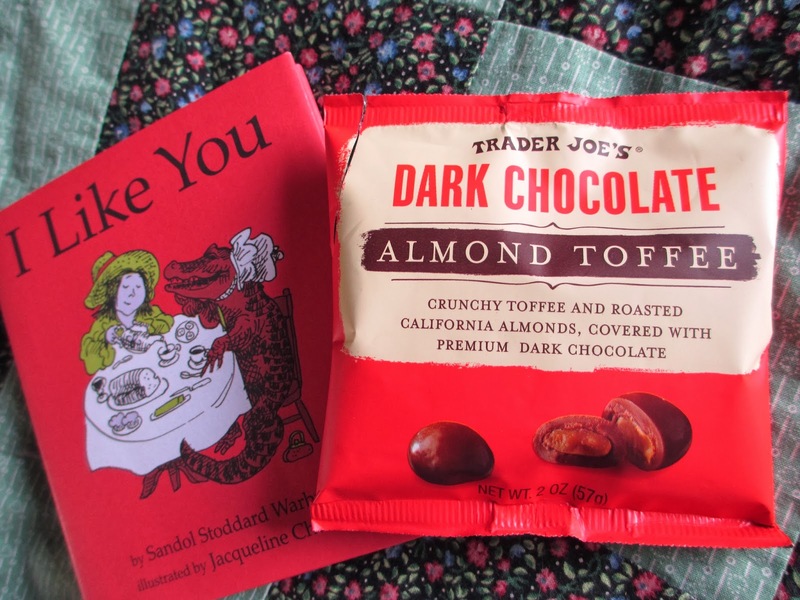 The chocolate has a nice reddish flavor, the almonds add the nutty element, and the toffee brings in a touch of salt. For something in between a snack and a dessert and something just above candy, this little red bag is, after all, worth trying out for the toffee lover. An island means isolation, which means that the factors that remain are amplified. So it is in Lost. I remembered hearing about this show in high school, so when it went onto Netflix, I added it to my Instant Queue (before this became My List) out of vague curiosity. I think it was after that that I started watching Once Upon a Time, whose creators, you will recall, worked on Lost. Since I knew that they borrowed some of the Lost format for Once, I started to get more curious and began watching the six season show in March or April of last year. My start was slow. For a while, I didn't like the show much. As you know, I'm not a big fan of watching violence, and since everything is essentially appearing out of context in the beginning of the series, I was having trouble seeing the point to all the fighting and dying and such. Every so often, curiosity and suspense would lead me to watch a few episodes; but overall I would leave long gaps in between. Months passed. I watched other shows more often than this one. I didn't feel connected to the characters, and my disinterest was not enough to overcome my desire to know the secrets of the island. And then something changed. I moved into season three, and I started getting invested in the characters. It's like everything was different. Enough time had passed for the characters and for me that I cared what happened to them because of what I knew about them in the past and in the present, and enough information had been revealed that I only grew more curious about what else there was to find out. And that's how this show worked: with every new answer you were given, a new question also came. That made it all very exciting to think about and to try and unravel. By this point, I was starting to like Charlie and Claire, Sawyer and Kate, Desmond, and Sun. Then came along my new favorite character, Daniel. Season three drew me in, and season four may have been my favorite. Season five began with those wonderful time shifts: whereas before we had to deal with separating the past from the present, now we also had to separate out the future. Seeing the plasticity of time brought everything to yet another level. And by this time, you begin to realize that everything you see has a point, even if it is only to illustrate a certain detail about a person's character. But with the mixed up timeline, the slowly released information, and all of that, I went into season six expecting answers. If a show ends simply because the station doesn't renew it, lack of answers can be forgiven. But if they know it's ending, it has to come to a good end. And so all through this the last season, I was wondering how it was all going to end. I was waiting for answers. With episodes like "Ab Aeterno," I thought I was finally getting them. I enjoyed "Across the Sea" and wondered how they would tie everything in that episode into everything we had seen in all the other episodes. I thought that since the series finale was long, it would cover quite a bit of ground. And then I watched that much-debated episode. That is, I didn't know it was much-debated until after I'd finished it. There was so much hugging in this episode--I thought that maybe it would have been okay for people who hadn't raced through the second half of the series like I had. But then I began to wonder why the hugging had taken the place of the answers. The more I pondered, the more disappointed I became. All the while this show lasted, we were led to believe that there were many answers to be discovered. We learned some, like what the black smoke was (although did we really learn what the thing was that was the black smoke? ), but others were simply ignored. Everything that we thought would be important was suddenly tossed aside in favor of a generic love-is-friendship atmosphere. Wait, what? I was initially not interested in this show because of the violence, and then it ends in a blaze of gooey hugging? And why the church? I've certainly nothing against churches (just ask where I am Sunday mornings), but why bother to include a church if it's a generic, overly-obvious all-denominations church with a stereotypical, over-used white light? Why? The thing is, I was expecting the ending of this show to be more along the lines of what "Across the Sea" could have led to. I was expecting an ending more like the tone A Series of Unfortunate Events ends on. That's also a series where I had no idea how it would end, and its final book (like Lost's final episode) was likewise simply called The End. I was expecting more of that other-worldly, mythological atmosphere, accompanied with an ending for some of our characters and perhaps a beginning for others. At one point, I was expecting Alex and Carl to be the surviving young couple, like Cosette and Marius in Les Mis. I also thought that maybe Aaron might be the one to act as the next generation; that would explain the never-explained thing about pregnancies on the island. But instead we ended up with half an ending. We never really saw most of the characters leave the island, and we didn't really get to see what happened to all of them. We just got to see them reconnect in an alternative universe, in-between world after death. The theme, I suppose, became about how we all have the choice to react to our circumstances. You can react with good or with bad (I don't care if that is grammatically incorrect). And the times when you react with good will, ultimately, be the most important ones. But, really? Is that what we, as an audience, were trying to discover while watching this show? I feel like it could have had this theme--if it had been handled a little differently toward the end. I wanted to see Hugo and Ben on the island, what happened to everyone who got off the island on the plane, and have some further way of connecting all the little things we knew about the island. At the same time, it's as if the ending didn't really matter. Just as what mattered for the characters was the time they spent together on the island, what mattered for us as the audience was the time we spent learning about this group of people and guessing what was coming next. This puzzle of a show was fun times to try and unpuzzle. If the final picture wasn't exactly what I expected, that doesn't change the fact that a puzzle show with good production values is quite nice to come across. Now will you help my mind find its way back to Earth? You see, I didn't realize until I was already finishing the book that The Bean Trees was Barbara Kingsolver's first published novel (the first publication was in 1988). Maybe that's why I've come away from this book with mixed feelings--or maybe it's simply something about the approach? All that I had previously read from Barbara Kingsolver was her 2007 non-fiction book, Animal, Vegetable, Miracle. I really enjoyed this one, and while I may not have agreed with every word she said, mostly I liked that she encouraged people to form informed opinions/stances about food, whether or not those opinions were identical to her own. Ever since reading that book a little over a year ago, I've wanted to finally delve into some of her fiction. So I picked up a secondhand copy of The Bean Trees as a starting place. I didn't realize that the book takes place largely in Tucson--you know, the deeply southern city in Arizona. Honestly, I've hardly spent any time in Tucson, or even anywhere south of the Phoenix area. But I was excited, at first, about this involvement of Arizona in the book. And then I grew slightly disappointed. There are descriptions of some of the magic of Arizona's natural beauty and presence, but there is also some of the usual disillusionment, disdain, and inability to mesh with it all. And I understand that there are undesirable parts to this state (and that Tucson is very, very different to where I live in Arizona), but I still found myself wishing for a different portrayal of the land. The desert is an aspect of the world's atmosphere at large; everything is a part of the world, and everything has its significance. With that rambling (for which I apologize) over, let me continue into the book. Our main character, Taylor, is from Kentucky; she drives away to get out of her little town and just happens on Tucson. And so, naturally, certain of the portrayals of the desert are simply those of an outsider. Her journey is basically one toward social understanding. She starts simply, with her own small-yet-significant-to-her problems, and then slowly learns more about other people's lives. As she does this, she more and more often makes the decision to help others. So you could say it's a story about love, friendship, family, and social awareness. Maybe ethics. All of this is good. The story was sweet and touching at times, sometimes innocent and sometimes sad. It was good. But I think I was expecting it to be better. At last, I come to the final item I picked up at the Chocolats du Cali Bressan shop. It is a chocolate soap, although not one made by the Cali Bressan company. And Herbaria is not even a California company, which, I must admit, did disappoint me: I like, when I go places, to get chocolate products that are from that place. Sure, it took a Californian shop to get me to this St. Louis-born chocolate soap, but still. Not that, once I brought out the soap, it made any difference where the company was based out of. 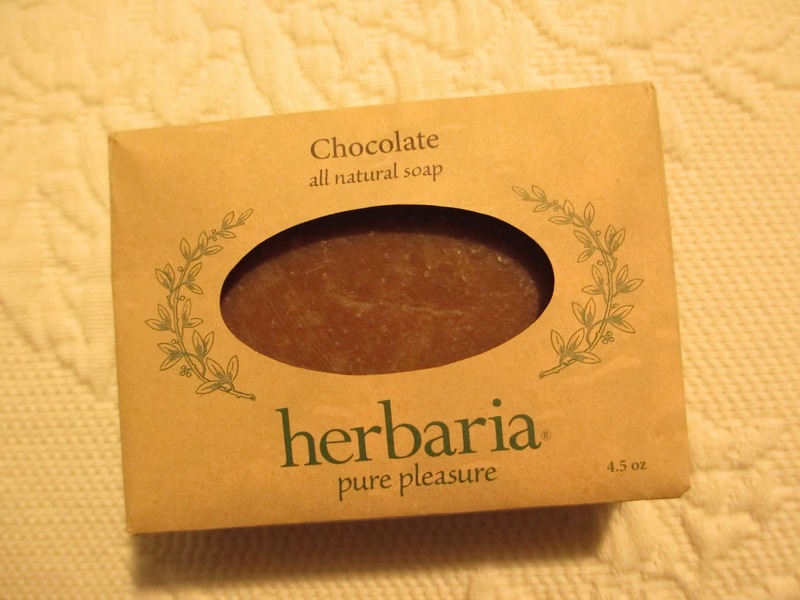 What is nice about Herbaria is that they mostly use pure ingredients; the soap has olive oil and soy oil in addition to the palm kernel oil, and the chocolate element comes from what they call "cocoa absolute" and cocoa butter. By "cocoa absolute," I suppose they mean cocoa beans or cocoa nibs. There is no animal testing, and the wrapper is recycled paper. It's a simple wrapper, as soap packaging should be, especially if it is called natural or handmade. A basic, light brown rectangle, the soap has a light aroma. Even when wet, it has a soft kind of scent; it isn't so dark somehow as the Chocolate Mint soap from Orion Skin Care. It's a clean aroma, not like sticky artificial chocolate, but still not very strong. I think perhaps it must be difficult to make a usable bar of soap smell like a bar of chocolate; maybe we don't want that, anyway? So as chocolate soaps go, this one is nice. It smells pleasant, if not overly chocolate-based. And the soap is good quality: the lather is soft and the soap lasts quite a while. As a pretty soap to buy occasionally, I like it.